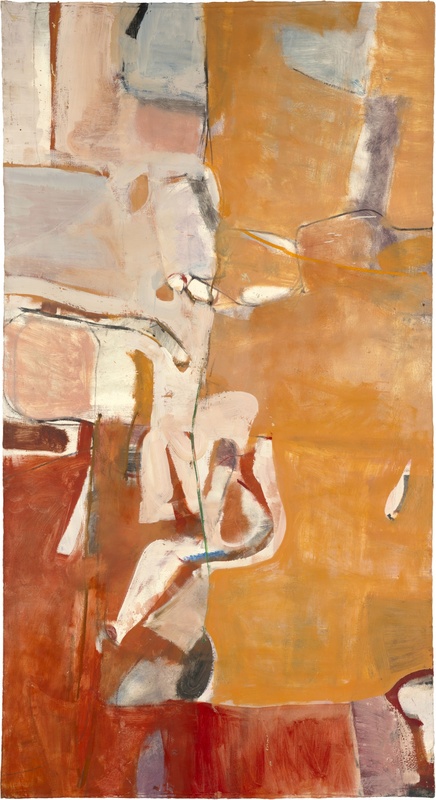 Taking Diebenkorn at his word that understanding his overall production depends on a broader knowledge of his early work, this exhibition focuses on 100 paintings and drawings that precede his shift to figuration in 1955. Though today less known than the artist’s Berkeley figurative subjects (1955–1966) and Ocean Park abstractions (1967–1987), these early representational pieces and abstract paintings set the stage for what would follow; his Abstract Expressionist drawings and paintings stand as important works in their own right. Collectively, these works reveal the forces that shaped him as an artist: his military service, his teachers, the paintings and writings of artists and art critics he admired, and the California and New Mexico landscape. Many of these pieces will be unfamiliar to the public, yet they offer a fuller picture of Diebenkorn’s precocious achievements. composers, Mozart and Beethoven. Featuring Munich-based duo Friedrich Edelmann (bassoon) and Rebecca Rust (cello), plus Northern California sensation Dmitriy Cogan (piano), the Trio has created an amazing program in celebration of Richard Diebenkorn. Before the performance, enjoy a docent-led tour of the exhibition to put the music in context with the art. Register here. Spend a day immersed in the complex work of this seminal California artist. The day will include talks by Crocker Associate Director and Chief Curator Scott A. Shields; Gretchen Diebenkorn, the artist's daughter; and a moderated conversation with artists Chester Arnold and Christopher Brown. Visit crockerart.org for a full schedule of the day's events. Register here. Teachers are invited to join us for an in-depth look at the early work and evolution of Richard Diebenkorn. Explore early pieces, nearly all from the collection of the Richard Diebenkorn Foundation, as well as curriculum materials from the Foundation that will help teachers bring the artist's work into the classroom. Register here. Encounter the Beginnings through the experience of sound meditation. Designed to rejuvenate the mind, body, and spirit and to restore balance, sound meditation includes crystal singing bowls, chimes, and vocal over-toning. Led by certified sound healing practitioner Niva Flor, Ph.D, two 25-minute drop-in sessions will be offered in the exhibition gallery. Registration is not required, but space is limited and will be available on a first-come, first-served basis. This program is made possible by a generous grant from the Hemera Foundation. Register here. Join an in-depth examination of Diebenkorn's Urbana #2 (The Archer), 1953. Before or after the 30-minute gallery conversation, take time to enjoy lunch at the Crocker Cafe by Supper Club. Each Lunch & Learn features a different work of art. Students ages 7-12 can paint an abstract still life in gouache, inspired by Richard Diebenkorn. Register here. Students ages 10-13 can paint an abstract artwork with acrylic paint, inspired by Richard Diebenkorn. Register here. In conjunction with the exhibition, this course investigates Diebenkorn's artistic development. Study up-close and in-person the paintings, drawings, and watercolors he produced during his formative period, and gain insight into two aspects of Diebenkorn’s early output: the impact that artists like Paul Cézanne and Henri Matisse and Pablo Picasso had on the young artist; and the way that he engaged with recent developments in American art, most notably the rise of Abstract Expressionism. Instructor: Kevin Muller. Register here. Emulating the work of a master artist is not a new idea; art students often analyze and draw inspiration from the masters. This class invites participants to borrow techniques from Diebenkorn, who was himself heavily influenced by Matisse. Spend some class time in the studios with an introduction to abstract painting with acrylic, then discover how the artist's later works explored the human figure and led to the Bay Area Figurative Movement. Educators receive free instruction materials. Instructor: Patris. Register here. Learn beginning drawing techniques while gaining an understanding of how artists use a variety of media. Compare and analyze various media combinations on display in the exhibitions Richard Diebenkorn: Beginnings, 1954-1955, and Masters of Venice: Drawings by the Giambattista and Domenico Tiepolo from the Anthony J. Moravec Collection, then develop your own drawing style through experimentation and use of new tools and techniques. Instructor: Abigail Vancannon. Register here.